Today is the second part of the 2018 first round prediction articles. HabsWorld’s writers pipe in with their thoughts on the rest of the series. (Norm) The Capitals have had another solid season, with offensive forwards Alex Ovechkin, Evgeni Kuznetzov and Niklas Backstrom, and a blueline led by Dmitry Orlov and John Carlson. However, Washington’s starting goalie Braden Holtby has struggled mightily during the final stretch of the season and has been supplanted by backup Philipp Grubauer to start the first round. Columbus game breaker Artemi Panarin also had an outstanding offensive season and is expected to lead his team this offseason. Their defensive game is better than Washington’s, led mainly by Seth Jones, the team’s second-leading scorer. He and Zach Werenski, Seth’s usual partner on the blueline, give the team one of the league’s best tandems. In goal, Sergei Bobrovsky remains one of the top-5 netminders in the league. Washington has a 3-1-0 record against Columbus in the regular season. While the Blue Jackets have never won a first-round series, neither have the Capitals with Ovechkin in their lineup. This time that futility streak will come to an end for Washington. (Craig) The curse of the Caps continues, as they draw a tough matchup in the Blue Jackets. While Washington appears to have a clear advantage up front with the likes of Backstrom, Kuznetsov and that Ovechkin guy, I like Columbus’ young studs on D – Werenski and the awesome Seth Jones – to power them through to the second round. (Kevin) What happens when two perennial choke artists face off? I guess we’re about to find out! Calling the Blue Jackets choke artists might be tad hyperbolic, but they remain without a playoff series win in their franchise, so they’re very close to being in the same boat as the team that almost lost to a bunch of teenagers last year. Washington had another impressive regular season, but some significant changes will likely be on hand if they lose this one. What’s even crazier is that the Blue Jackets might be the worst matchup possible for the Capitals. Their physical brand may not be much of a match for players like Kuznetsov and Backstrom and I personally prefer the Columbus blueline to Washington’s. At the end of the day though, Sergei Bobrovsky has a career playoff save percentage under .900 and that’s too much for Columbus to overcome facing a team with as much firepower and experience as the Capitals. Especially considering Holtby’s .932 career playoff number. (Brian) Washington has a history of struggling in the playoffs and with it all but being stated that their fate will dictate the future of Barry Trotz and some other players, they’re going to be uptight. Columbus has the defence that’s capable of slowing down the likes of Alex Ovechkin and company and Sergei Bobrovsky is the better of the two goalies, especially since Washington’s isn’t exactly certain. (Phillip Grubauer will start but how long will that last?) The Blue Jackets have a sneaky-good team and I think they can win here. (Norm) Boston had a rough start to the season but after a few weeks got into their groove and never faltered. Lead in scoring by uber-pest Brad Marchand with 85 points, the Bruins have a good mix of scoring (David Krejci, David Pastrnak and David Backes) and defence up front. Perrenial Selke candidate Patrice Bergeron can neutralize most any opponent, while rookies Danton Heinen, Jake DeBrusk and Ryan Donato have surprised many by producing right away. Zdeno Chara and Torey Krug are the team’s blueline leaders with rookie Charlie McAvoy back from a late-season injury to help. In goal, Tuukka Rask had a bounce-back season to help get his team back into the postseason. The Maple Leafs had their best season in franchise history, led by sophomore Auston Mathews, along with young exciting forwards like Mitch Marner and William Nylander. Veterans such as James van Riemsdyk and Patrick Marleau have been solid contributors, while Nazem Kadri has developed into a pesty two-way centre. Longtime former Hab Tomas Plekanec will be relied on for 4th line duties and penalty killing opportunities. Their defence is relatively young, led by Morgan Reilly, and their starting goaltender Frederik Anderson has finally provided the team with some stability in net. The key matchup in this series will be Bergeron against Matthews to see if the veteran Bruins can contain the young Leafs superstar or not. Although the Leafs have been a relative doormat to Boston the past few seasons, and some current Buds are still stinging from their 2013 playoff Game 7 collapse/defeat by the Bruins, this season’s squad had a winning record against Boston. 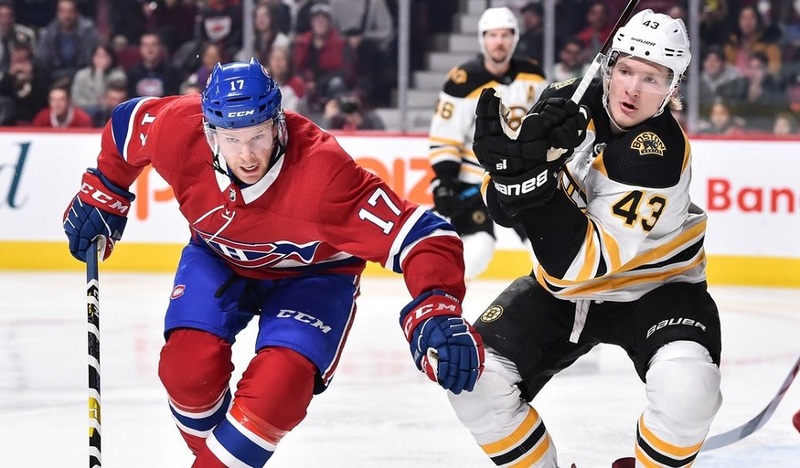 Although I’m not a fan of either team, I have to lean towards the Bruins thanks to their ability to play an offensive or defensive style game. (Craig) In the battle of teams that Habs’ fans love to hate, the only good news is that one will be knocked out in the first round. Though the Leafs are clearly a team on the rise, the Bruins have done an impressive job retooling while maintaining the core – Rask, Chara, Krejci and Marchand remain the difference. The Leafs will be a tough out, but Boston gets the job done. (Kevin) The Toronto Maple Leafs must be relieved to not be facing the Lightning. Don’t get me wrong, I think the Bruins are a formidable opponent, but the Lightning would have been a terrible matchup for the Leafs. In Boston, they face a team who excels defensively, which will provide a much different challenge than they faced a year ago against the Capitals. It will be interesting to see how the Leafs fare in a tighter checking series as they clearly hold the offensive edge, while Boston remains the best Eastern Conference defensive team. Considering I have more faith in Boston’s offence than Toronto’s defence, I will pick Boston to win the series, but a few stolen games by Andersen can flip my prediction on its head in a hurry as Boston’s depth is young and if they start thinking too much on the ice, the offensive talent of the Leafs will feast on that inexperience (which sounds weird considering I’m talking about the Leafs in their second trip to the postseason). (Brian) Boston played quite well in the second half but not landing the top spot here hurts them. The Leafs match up quite well with the Bruins in large part due to their team speed, an area of some concern for the B’s. I think Toronto’s depth up front will give them an edge as well; that second line is going to be difficult to contain if Boston plays Patrice Bergeron against the Auston Matthews line as is expected. 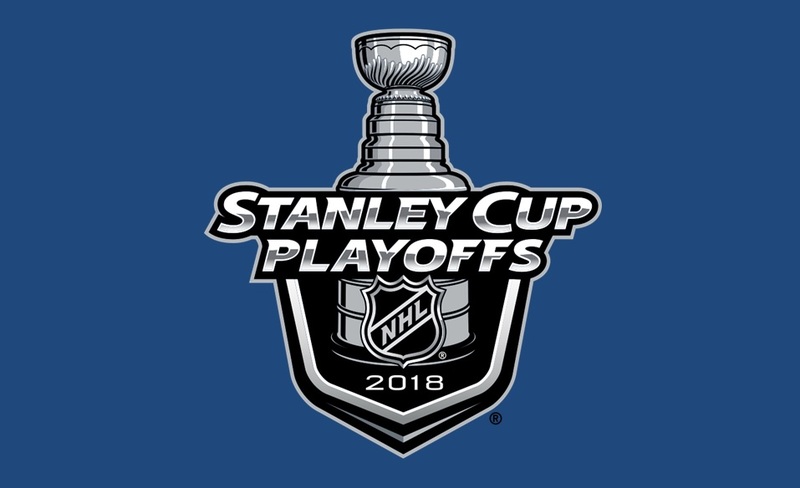 (Norm) Tampa was an early leader in the NHL standings and several pundits were favouring them to dominate the postseason. They finished at a respectable third place overall. A healthy Steven Stamkos and a 100 point season for Nikita Kucherov were some of the reasons for the team’s success. Their depth up front is impressive, consisting of Brayden Point, Tyler Johnson, Yanni Gourde, and trade deadline pickup J.T. Miller. 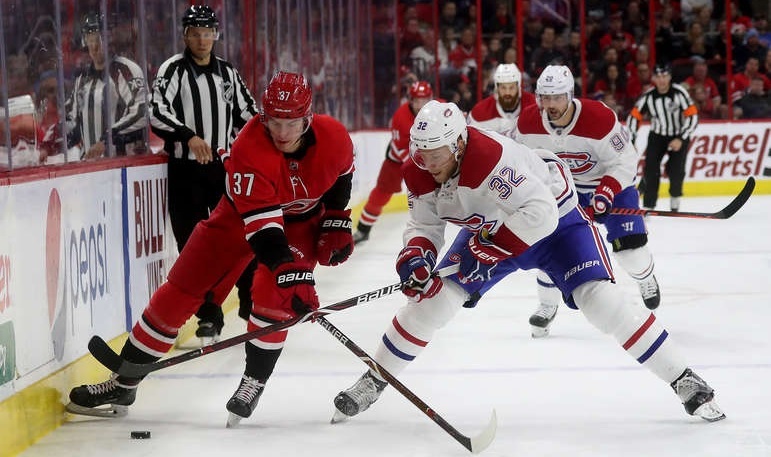 On defence, they are led by veteran Victor Hedman, and well supported by Anton Stralman, Dan Girardi, and two players with connections to the Canadiens, Ryan McDonagh and Mikhail Sergachev. In goal, the baton was passed to Andrei Vasilevskiy who took on the challenge to post personal highs in save percentage, wins and shutouts. The Devils were one of the biggest surprises in the league this season, after stumbling from one of the worst records the year before. Taylor Hall’s 93-point season was a career best, and his point total exceeded his next closest teammate by 41 points. Supporting Hall are two rookies, first overall pick Nico Hischier and free agent college star defenceman Will Butcher, who managed to finish in second and third place in team scoring. Veterans Patrick Maroon and Michael Grabner were acquired before the trade deadline to help bolster the lineup. Defencemen Sami Vatanen and Andy Greene helped the team’s transition game while providing strong shutdown responsibilities in their own zone. Starting goalie Cory Schneider suffered a groin injury in mid-winter, and upon his return, he struggled to get back to the same level. Backup Keith Kinkaid performed very well during Schneider’s absence. In late March, Schneider was effectively benched while Kincaid took 7 wins out of an 8 game span. This should be an interesting series. Although Tampa is the clear favourite, I expect the Devils to give them their due and push them to a full 7 game run, before the Lightning go on to the next round. (Craig) Much like the Predators/Avalanche series, the Devils are simply out-matched by the powerhouse Lightning. Tampa Bay has the advantage in every area of the ice and the depth to make life miserable for opponents on a regular basis. In my opinion, Taylor Hall should win the Hart Trophy this season, but he can’t do it alone. (Kevin) The high-octane offence of the Lightning faces a team with youthful inexperience on the blueline and unresolved goaltending tandem in Cory Schneider and Keith Kinkaid. Perhaps the Devils can score and keep up with the Lightning you suggest? Not so with the recent addition of Ryan McDonagh to the blueline. The only hope the Devils have is that they are coming in hot while the Lightning have stumbled a bit down the stretch. If the Devils can surprise the Lightning in the first couple of games, then perhaps the Lightning can start to overthink things, get nervous, and then the Devils (who’ll truthfully be playing with house money at this point) can play with nothing to lose and surprise. Even that seems like a stretch considering the amount of playoff experience that the Lightning find on their roster. (Brian) Andrei Vasilevsky didn’t have a strong second half of the season but it’s still hard to pick Keith Kinkaid over him in a goalie matchup (and who knows what’s wrong with Cory Schneider all of a sudden?) Tampa’s attack is much deeper and even their back end is better than New Jersey’s. One team is battle-tested and the other is just happy to be there. This should be over fairly quickly. (Norm) The Avalanche are another successful turnaround story in the NHL. After a poor season a year ago, the Avalanche has made the postseason thanks in large part to Nathan MacKinnon, whose 97 points led his team. If not for the 8 games Nate missed in February, he may have challenged Connor McDavid for the scoring title, which he won with 108 points. Linemate Mikko Rantanen also exploded this season to notch 84 points. While MacKinnon was out of the lineup, Rantanen still managed to produce 4 points in the same 8 game stretch; he missed one game due to a minor injury. Rookie forwards Alex Kerfoot and Tyson Jost help contribute, along with veterans Gabriel Landeskog and Carl Soderberg. On defence, the team’s big point producer is Tyson Barrie, who produced 57 points. For the first time in Nashville’s NHL history, the Las Vegas oddsmakers set the Predators as the favourite to win this season’s title. It’s easy to see why, given the team’s number one standing in the league, while ranking first in team goals against, and fifth in goals scored. Considering the team does not have a player in the top-50 scoring leaders in the league, this shows Nashville’s impressive depth and balanced offence. There’s too much firepower and experience on the Predators side to expect they will not advance. The loss of blueliner Erik Johnson to a knee injury at the end of March is a large blow to the team’s postseason cause. (Craig) While the Golden Knights are the Cinderella team of the season, the Avalanche managed an incredible bounce-back season and aren’t far behind. Unfortunately, they draw the best team in the NHL in the Predators in the first round. Nashville’s depth on defence, solid forward group and great goaltending make this a no-brainer. The injury to Semyon Varlamov means that the Avs will be lucky to win a game. (Kevin) Just one year ago, the Nashville Predators were exactly where the Avalanche are. The Avalanche come into the playoffs after a win in their last game of the season. They have nothing to lose as they were not supposed to make the playoffs and now face the Presidents’ Trophy winners. The Preds used this stage last year to bounce the favourite Blackhawks in 4 on their way to the Finals and now a Presidents’ Trophy. Unfortunately for the Avalanche, I don’t think they are this year’s version of those Predators. For one, the Preds were predicted to be much better in 2016-2017 but they took some time to jell as a group. Also, the Avs are facing a well-oiled machine whereas the Hawks were primed for an upset as this season showed us all. The Predators are the better overall team. The only thing that could happen would be the Preds buying into their own hype and resting on their Presidents’ Trophy. (Brian) Nashville has long been viewed as the prohibitive favourite to come out of the West and the Avs are a team that no one expected to make the playoffs that are missing their top defenceman and starting goalie. Part of me wants to go four games here as this looks to easily be the biggest mismatch of the opening round. (Norm) To me, this appears to be the least interesting matchup of the first round. I do not have high expectations for either squad to do much, but one team has to go into the second round. With the Ducks I see an injury-riddled team, with starting goaltender John Gibson questionable after missing the last 3 games, veteran blueliners Cam Fowler and Kevin Bieksa with unknown statuses, Patrick Eaves out since October, and several other veterans that have come back from injuries. The Sharks have only veteran Joe Thornton out since late January with a MCL knee injury that required a procedure but he is a possibility to return. His absence has not been felt that greatly, with other players shifting into the middle and Evander Kane obtained before the trade deadline to help pick up the slack. Kane managed to score 14 points in 17 games including 9 goals. Defenceman Brent Burns led the team in scoring this season with 67 points. Gibson was excellent down the stretch with a .931 save percentage during his last 25 games. In the end, I’ll flip a coin and go with the Sharks who are a healthier squad. (Craig) This series is a bit of a toss-up for me. Both clubs boast impressive depth, strong goaltending and a wealth of experience. Home ice advantage and the fact that Joe Thornton is starting the series on the shelf tip the series in Anaheim’s favour. (Kevin) In what promises to be the nastiest of the first round matchups, one might want to call this series the Carnage in California. Surprisingly, this is only the second time these teams meet in the playoffs, with the Ducks winning the 2009 matchup 4-2. 2009 is a long time ago. In 2009, I would have easily chosen the Ducks and the D over the Sharks and their scoring ability. The Sharks were also a perennial choking team in 2009, a label they have recently shed. In 2018, the Ducks do have better defensive numbers, but I personally prefer Martin Jones to John Gibson in a Game 7. The more I go over the numbers in this series, the more I believe this will be a series that goes the distance, with the winner being the team who is able to take on too many injuries in the trenches. Should be a great series for the die-hard fans hoping to see some “Ol’ Time Hockey”. The only concern will be the capacity for the winner to turn around for another series after this one is done. (Brian) Anaheim had a nice run last year and the core of that team remains largely intact. That makes it hard to pick against them. Evander Kane has fit in nicely with the Sharks and Joe Thornton may make it back at some point but there are still a few question marks up front that concern me. Martin Jones is capable of stealing a series but if he doesn’t do so here, I have a hard time seeing them making it out of this round.